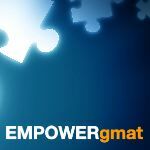 I'm planning to give my GMAT in 10 days. I am facing a problem with timing my verbal section. During my GMAT Prep mock, I had a great start in the verbal section - but towards the end, I had a panic attack because I had about 10 questions to do with about 9 minutes left. Because of this I ended up guessing a lot of those questions. 7 of those 10 were wrong. I ended up with a score of V37 hence. My overall score was 710 (Q49 V37). I need to get my timing in place somehow before the D-date. Could you guys please help with any suggestions as to how I should manage this time issue? Any suggestions would be extremely helpful.